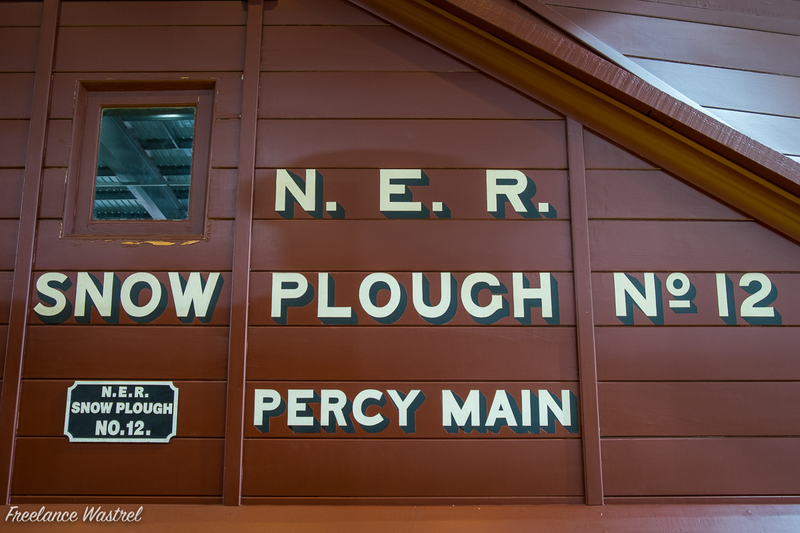 The lettering on this restored North Eastern Railway (NER) Snow Plough (built in 1891) is impressive, especially given that such vehicles were/are rarely in the public eye and mainly only seen by railwaymen clearing snow from the tracks. Percy Main is a small village (now part of North Shields, Tyne and Wear) that grew up around the Duke of Northumberland’s railway station on the Newcastle & North Shields Railway that opened in 1839. This nameplate and fine crest adorn the London & North Western Railway (L&NWR) ‘Improved Precedent’ class 2-4-0 steam locomotive No.790 (built in 1892 at Crewe). 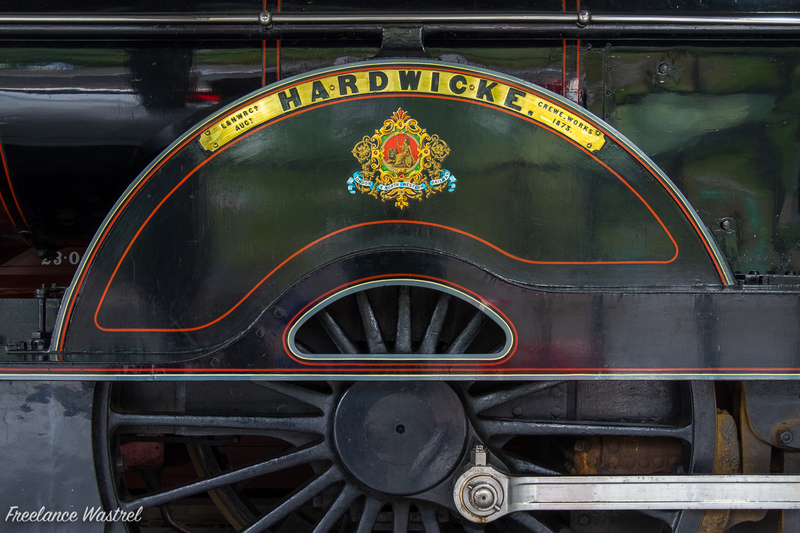 Originally designed to haul express passenger services HARDWICKE took 2 hours and 6 minutes to cover the 141 miles between Crewe and Carlisle on 22 August 1895 setting a new speed record during the Race to the North. A close inspection of the nameplate reveals a build date of 1873, this is because No.790 was officially a ‘renewal’ (i.e. replacement of an earlier locomotive) that kept the name and number of its predecessor. 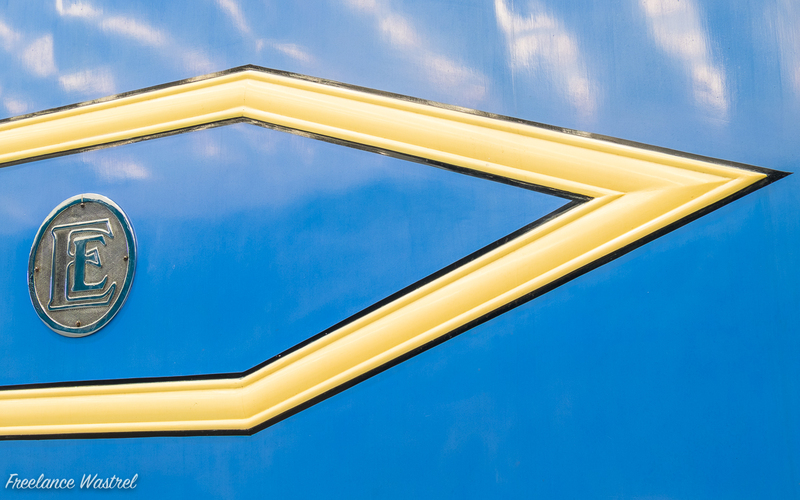 These painted aluminium beadings were designed to give an impression of speed (and visually break up the high bodysides) of the English Electric ‘Diesel Prototype 1’ (DP1) locomotive. A designation it never carried, the loco is commonly known as DELTIC as it employed two Napier Deltic engines giving a combined power output of 3,300hp. Following a serious engine failure DELTIC was withdrawn from service in 1961 and donated to the Science Museum in 1963, moving to the National Railway Museum in York in 1993.